Are your APIs packed into a single SDK? Should you expand to C++? Do you have zero idea what we’re talking about? It’s cool. We’ll explain. 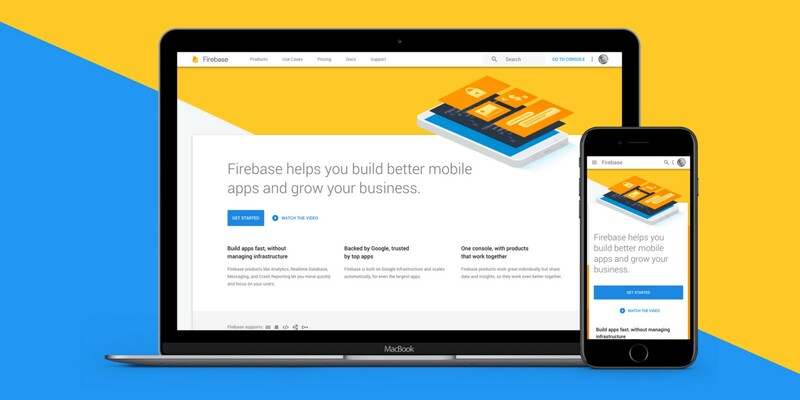 Google recently asked us to redesign the website for their mobile app development platform, Firebase. They tasked us with a couple of things: 1.) Communicate what Firebase is and does. 2.) Refine the brand’s identity while keeping within Google’s design guidelines. So, what is Firebase? In short, it’s a suite of products that work together to help people build better mobile apps. Think analytics, authentication, cloud messaging, etc. These products can be used independently, but they’re better off together — they complement each other to create a very powerful platform. Because Firebase encompasses 16 products, we spent a lot of time up front figuring out how best to structure and communicate everything it does in a way that educates and informs a diverse audience. That crowd includes developers and marketers, some browsing, others drilling into specifics. While their needs vary, they have several shared goals. They want to work across platforms. They want to build and optimize in real-time. They want tools that scale as their apps grow. Firebase delivers all of that (and more). But explaining everything up front gets overwhelming fast, especially for the less tech-savvy. So we divided the product line-up into two areas: Development & Growth. This allowed us to introduce Firebase at a higher level, with multiple points of entry for deeper learning. Our visual design strategy catered to different audiences with varied objectives. We made key topics scannable for people who knew what they needed, but we kept content approachable for those just getting familiar with topics like cross-platform integration. We balanced clean, straightforward layouts with dynamic illustrations and engaging backgrounds. The illustration style and colors brought a friendly feel to what could easily be dry subject matter. As for the voice, we focused on clear, utility-based messaging. No jargon. 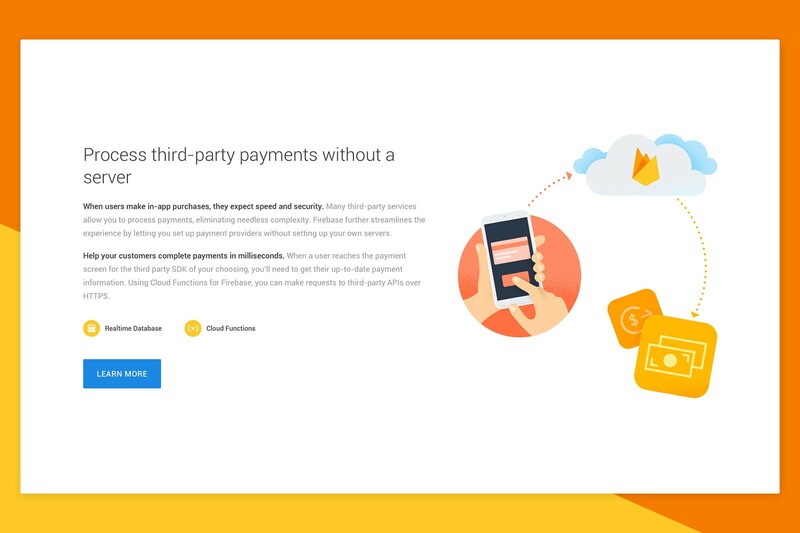 Mobile marketers use Firebase to address complex scenarios, like progressively rolling out new features or processing third-party payments without a server. Such strategies demand a variety of tools that work in tandem. To demonstrate that point we turned to use cases, devoting a full page to showing how today’s app makers use the Firebase platform to solve a number of issues and to find better ways of engaging their audiences. The Firebase site minimizes barriers to entry, encouraging people to get started or explore demo projects. Many of the tools are free to use. By incentivizing trials and experimentation, we help drive long-term use. That said, if you haven’t checked out Firebase yet, now’s a good time. We’d love to hear what you think.